A couple of users have recently contacted us after observing a noticeable delay when changing song slides in Presenter after performing a Windows update. It turns out the update in question is the Windows 10 Build 1703, commonly referred to as the Creators Update released in April 2017 and is progressively being rolled out by regions worldwide. introduced a small but noticeable delay between slides. Either reducing the font size or turning off Text Effect improved the outcome. If this works for you then great – you need not read further! 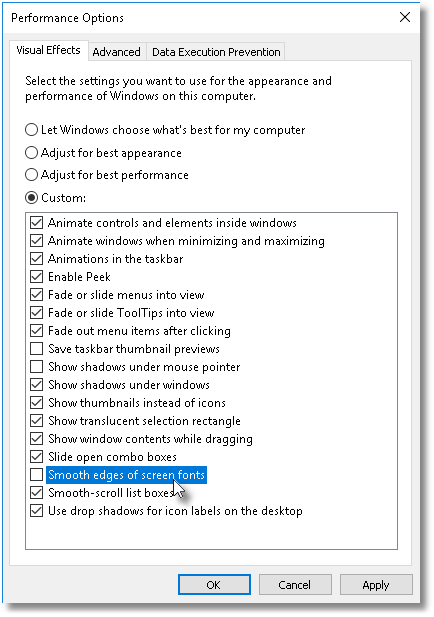 One user found that setting the Windows performance options to “Adjust for best performance” made a positive difference. With more testing, we found turning off one specific option: “Smooth edges of screen fonts” gave the same result. UPDATE: July 2018 – The screen shots below were taken from 2017. If they do not match your system, just type “advanced system” in the Windows search bar and you’ll go straight to the dialog with the performance settings in step 4. 2. 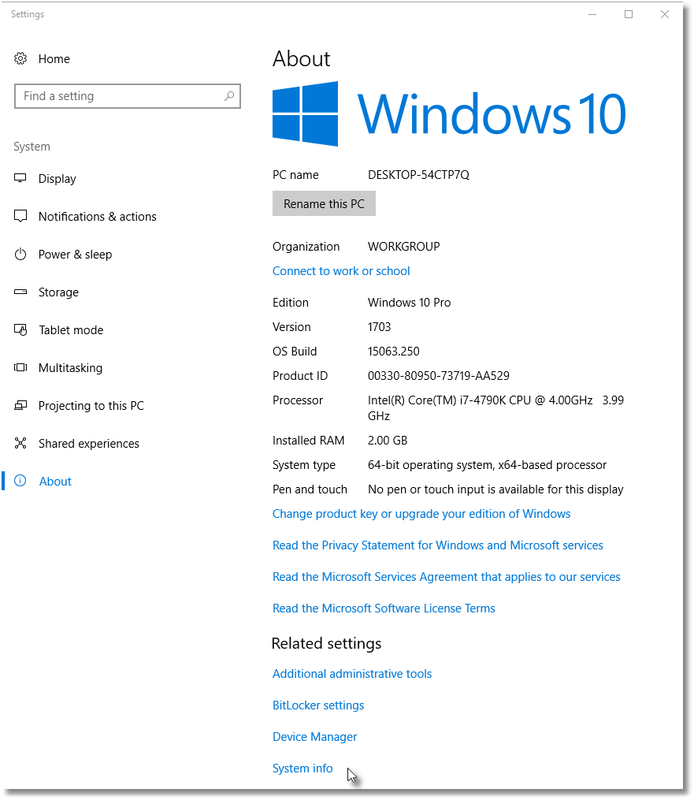 Select System info near the bottom of the About Windows 10 screen. 3. Select Advanced system settings on the Control Panel system screen. 4. On System Properties, select the Advanced tab, then Performance [Settings] button. 5. 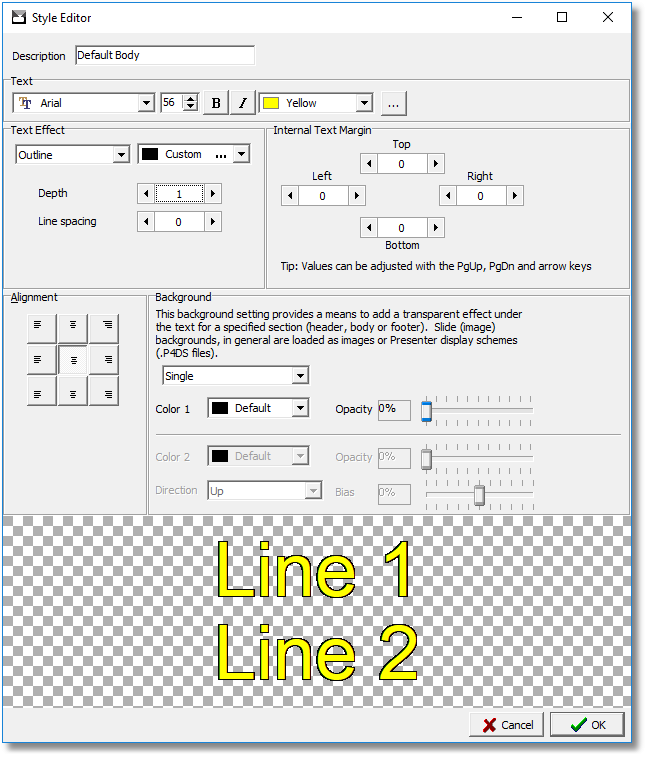 Uncheck the Smooth edges of screen fonts option. This will automatically select Custom instead of “Let Windows choose…”. Press OK to apply the change. 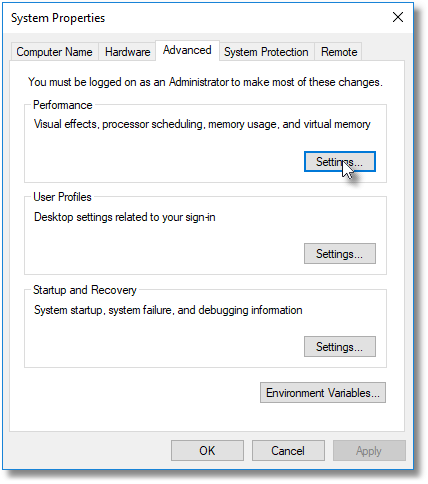 Some advanced settings require a computer restart, but this setting should take effect immediately. Check the outcome in Presenter. One (perhaps unfortunate) side effect of this change is a more ‘draft’ appearance of the system fonts, so adjusting the Presenter settings would be the preferred first option. If you encounter any other problems with the Windows 10 Creators Update then please let us know. ⟵New Release is Coming Soon!